Bellangé was a French artist who was active during the early part of the 19th century and his subject matter was greatly influenced by the wars of Napoleon I. After studying on his own for a number of years, he decided to pursue a more structured and formal training program in the atelier of Baron von Gros. From this point on, with the exception of a few portraits, he devoted himself exclusively to historical and military scenes. 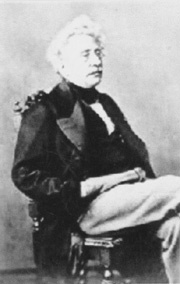 In 1824 he received a second class medal at the Salon for a historical work and in 1834 was awarded the Legion of Honour, of which Order he was made an Officer in 1861. Bellangé’s reputation as a painter of military scenes was at its height from 1830 until his death in 1866 and he received many awards and commissions during this time. Today examples of his work can be seen in numerous museum collections; including those in Amiens, Bordeaux, Leipzig, Lille, Compiegne, Rouen, Saumur, Versailles, Paris and London.